Surprise a loved one or delight yourself with this fine Halloween treat. 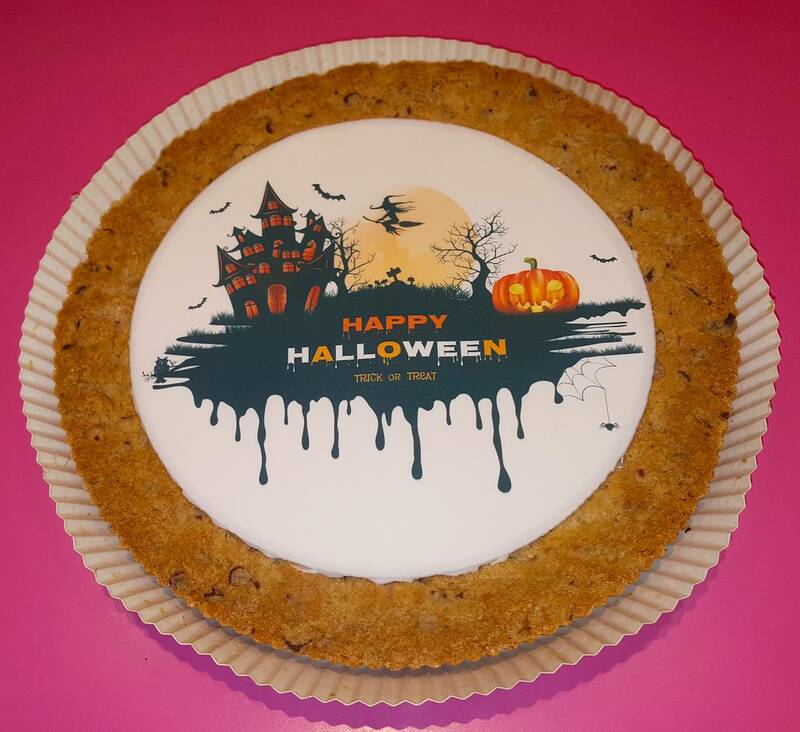 Freshly baked using the finest ingredients our cookie cake is sure to delight all of your ghosts and goblins this year. The Halloween festivities can begin when this Giant Halloween Cookie Cake arrives! Delivery of this sweet treat will bring smiles to all trick-or-treaters. Our Halloween Cookie Cake says Happy Halloween! and is decorated with a spooky edible image and bordered with festive icing.. The cookie includes a generous supply of chocolate chips. This product is fresh baked and does not include nuts. The Giant Halloween Cookie Cake is a 2lb. cookie which is the equivalent to 32 one ounce cookies. The Giant Halloween Cookie Cake is a great gift for sending to a college student, an office staff, family and friends!